Rather than running to the store in the midst of cooking or baking you can substitute powdered lemon drink mix for lemon juice in a recipe. The sugar free version may work best for some recipes. 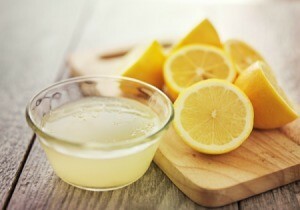 This is a guide about substituting lemonade powder for lemon juice. If you run out of lemon juice for a recipe, use reconstituted lemon powdered drink mix without sugar. Make sure it is well chilled and in an airtight container. Shake before using. If the recipe you're using really needs the acidity of lemon juice, you can still use the powdered lemon drink. Simply use vinegar for the liquid amount called for. The use of lemonade powder came into use in our home on the day I had started to prepare a fruit pie. My liquid lemon that I had on hand had spoiled. In desperation, and trying to avoid interruption of my baking by running to the store, I grabbed a popular lemon aid powder used to make drinks from my cupboard. These are the popular dry lemonade mixes that come in individual tiny containers or packets. I purchase the diet type to avoid extra sugar. Once I have added the fruit to my pie shell, be it fresh or be it frozen, I sprinkle the lemonade powder on top of the fruit. Then I add my usual spices, with my favorite form of thickening agent. The amount of sugar I add to my pie is less than normal due to the fact the diet sugar lemonade has sweetener. I would suggest experimenting with the lemon flavoring the first few times and recording your preference for future baking. I usually use 1/2 of the powder in a small plastic container and about 1/2 cup of white sugar. If you are the type who would rather cook the fruit filling prior to adding to your uncooked pie crust, then just put all your ingredients as you normally do in your pan. Next, add some of the powdered lemon aid flavoring. Cook as usual. Once your filling is done, add it to your pie shell and bake. When I first experimented with this powdered flavoring, I held my breath. My husband absolutely loved my pie and claimed it was one of my best pies! He always rates my food 1 to 100. I've hit 99 points with him on a few rare occasion. He claims he is saving that extra one point for the day he is sure the winning meal could never be outdone by any other dish I have made. We just celebrated our 35th wedding anniversary! Source: This is something that I created myself. I have never read about it or heard about it from any other source.